Your donation goes 100% to fund the care and support of dogs in our care. 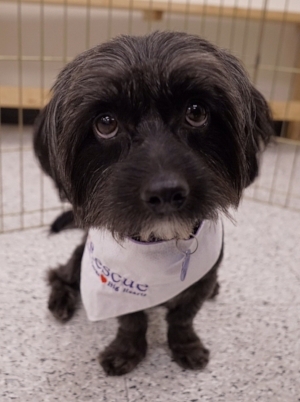 Wee Rescue takes in small dogs from all backgrounds - shelter surrenders, strays, puppy mill rescues, and more - without regard to age or medical condition. This means we often take in “seniors” and dogs with extensive medical needs. In these cases, our volunteers agree to foster these special dogs for as long as needed, sometimes forever. Please donate to support our mission, or email info@weerescue.org if you would like to sponsor a specific dog. Using the "Donate" button above, you can choose to make your gift go even further by choosing the "monthly gift" option. Do you regularly shop on Amazon.com? Select Wee Rescue as your charity of choice on AmazonSmile and Amazon will donates 0.5% of the price of your eligible AmazonSmile purchases to Wee Rescue! Many employers, such as Dell and National Instruments, match donations made by their employees as part of their matching gift program. Check with your Human Resources or Community Engagement department to learn whether your company will match your contribution!